The reception of clinical communication and collaboration drive is intensifying over several medicinal services companies over the years. The reception of clinical communication and collaboration drive is intensifying over several medicinal services companies over the years. Advances in healthcare communications technology moreover the increasing acceptation of smartphones are a few indicators boosting the market for clinical communication and collaboration. With the initiation, it has made likely healthcare service suppliers to concluded ongoing communication as well as impart an immediate treatment to patients. Furthermore, advances in Internet speed is similarly furthering the overall market as these aspects have bolstered the effectuation of clinical communication and collaboration through health care givers. 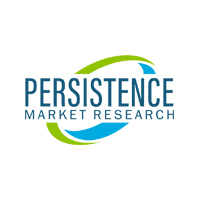 In a latest market research Persistence Market Research indicated that the global market for clinical communication and collaboration is projected to account for a market estimation of US$ 293.9 Million before 2018 end and is projected to account for US$ 1.2 Billion before the end of 2028. The global market will exhibit a 15.5% CAGR for the period of assessment. By region, the North America regional market for clinical communication and collaboration is figured to increase the revenue share at a 16.0% CAGR all over the figured time frame on account of the maximum implementation pace from the healthcare enterprises for sophisticated technologies subsequent into rising need for clinical connection as well as collaboration software. By content type, the revenue share from the video category is figured to exhibit a 17.1% CAGR for the period of the assessment on account of the growing internet infiltration consequent into trouble-free video consultation procedures for nurses, physicians, doctors together with others. Of the clinical communication and collaboration end-users segment, the hospitals are estimated to continue to remain majorly lucrative category as well as account for the highest market share on account of a growth in the reuirement for clinical communication and collaboration along with nurses as well as physicians to sustain a competent communication and collaboration in the medical servicing delivery to the patients. The software category is figured to increase revenue share at a CAGR of 14.6% for the period of the assessment on account of growing need from clinical labs as well as hospitals in developing nations for offering better patient treatment. The reception of clinical communication and collaboration drive is intensifying over several medicinal services companies over the years. 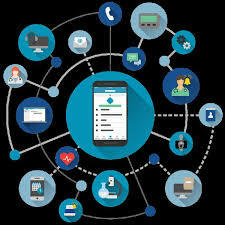 Advances in healthcare communications technology moreover the increasing acceptation of smartphones are a few indicators boosting the market for clinical communication and collaboration. With the initiation, it has made likely healthcare service suppliers to concluded ongoing communication as well as impart an immediate treatment to patients. Furthermore, advances in Internet speed is similarly furthering the overall market as these aspects have bolstered the effectuation of clinical communication and collaboration through health caregivers. In a latest market research, published by Persistence Market Research indicated that the global market for clinical communication and collaboration is projected to account for a market estimation of US$ 293.9 Million before 2018 end and is projected to account for US$ 1.2 Billion before the end of 2028. The global market will exhibit a 15.5% CAGR for the period of assessment. By content type, the revenue share from the video category is figured to exhibit a 17.1% CAGR for the period of the assessment on account of the growing internet infiltration consequent into trouble-free video consultation procedures for nurses, physicians, doctors together with others. Of the clinical communication and collaboration end-users segment, the hospitals are estimated to continue to remain majorly lucrative category as well as account for the highest market share on account of a growth in the requirement for clinical communication and collaboration along with nurses as well as physicians to sustain a competent communication and collaboration in the medical servicing delivery to the patients. The software category is figured to increase revenue share at a CAGR of 14.6% for the period of the assessment on account of growing need from clinical labs as well as hospitals in developing nations for offering better patient treatment. Enhancing the patient results is one of the imperative aspects on which nowadays healthcare firms are focused moreover Clinical communication and collaboration solution is curing them to accomplish these needs. The growing government regulations, for instance, Affordable Care Act is also boosting the expansion of the market all through the projected period while these exhibitions are fundamentally intended for imparting a superior patient support as well as care in addition to innovative medicinal care delivery procedures intended to depose the health care expenses, in general. healthcare firms are focused moreover Clinical communication and collaboration solution is curing them to accomplish these needs. The growing government regulations, for instance, Affordable Care Act is also boosting the expansion of the market all through the projected period while these exhibitions are fundamentally intended for imparting a superior patient support as well as care in addition to innovative medicinal care delivery procedures intended to depose the health care expenses, in general.